As of a few weeks ago, the California Supreme Court ruled to replace the previous test for whether somebody is properly classified as an independent contractor. The new test will make it much more difficult to classify somebody as an independent contractor in the future–especially in the common situation where a California employer hires through a staffing agency. This is extremely important to employers, independent contractors, and employees alike. On the employer side, misclassification of employees is a costly mistake leading to lawsuits and fines. On the employee side, being misclassified as an independent contractor means you don’t enjoy several common employee rights which can include overtime pay, workers comp, paid sick leave, employee benefits, unemployment benefits–you’ll even find yourself commonly paying your own expenses. For a true independent contractor, this is often not an issue. However, not having to pay for these benefits sometimes drives employers to take substantial steps to push a square peg into a round hole and classify employees as independent contractors. This new ruling stymies one of the most common methods of doing this in California. Let’s look at the case itself, the ruling, and what its implications will be for California employees and employers. The case before the California Supreme Court involved a nationwide delivery and courier company known as Dynamex. Dynamex provides its services to both corporate customers and members of the public. The backbone of its company is the driver who deliver packages all over the nation. For quite some time, these drivers were classified as employees. However, in 2004, Dynamex decided to reclassify its drivers as independent contractors–a move which, among other things, left their drivers providing their own vehicles and paying for things such as gas, tolls, liability insurance, and maintenance and repairs. The Plaintiff in the Dynamex case, Charles Lee, worked as an independent contractor for Dynamex for 15 days before filing a class action lawsuit saying that Dynamex had misclassified its drivers. This was a challenging case to win under the independent contractor classification test of the time, drawn from a case known as Borello v. Dept of Industrial Relations. This was because the previous test focused exclusively on who had control when it came to work–evaluating several factors in answering the question of whether the hiring business had control over manner and means of accomplishing a desired result. The Supreme court determined that Dynamex had improperly misclassified its drivers as independent contractors when they were, in fact, employees. In doing this, they looked to joint employer rules, but also chose to revamp the how California courts will test whether somebody is an independent contractor. In their ruling, they said this decision was based on the extent of the harm done to workers through misclassification and to competition by giving those who misclassify an edge over companies playing it straight. For the last 30 years, the Borello case has been the cornerstone of independent contractor classification analysis in California. As briefly discussed above, the primary question for classification is who has control of how, when, and with what, the work is done. In making this determination, the courts had a non-exclusive list of factors to review, including: whether the employer to discharge the individual without cause; the skill required in the occupation, whether the individual hired has a distinct occupation or business (e.g. their own plumbing business); whether or not the work is usually done under the supervision of the hiring business; whether the hiring business supplies the tools, equipment or place of work for the job; how long the services are performed (the longer they work the less likely they are an independent contractor); whether the payment is by time spent or by job (time spent weighs in favor of misclassification); whether the work is the sort thing the hiring business does on the regular, and the intent of the parties. This is obviously an incredibly complicated test. You can see how this would be a complicated analysis when applied to Dynamex. They made their drivers provide and pay for all equipment and tools for the job, there’s also no real place of business to come into the equation. This weighs in favor of them in a misclassification analysis. On the other hand, they are a driving delivery business hiring delivery drivers to go where they tell them and the drivers they are hiring are not coming from their own businesses. This all weighs against them, and you’ll notice that the factors in Dynamex’s favor are not only under their exclusive control to determine but also all benefit them financially. Regardless, there are arguments on both sides making the case a difficult one to call. However, the Supreme Court put the Borrello case aside and created a new approach to IC classification called the ABC test. First and foremost, perhaps the biggest change in the test is that there is a presumption that somebody is an employee which the hiring business needs to overcome. This is huge change, the difference between a neutral analysis and an affirmative requirement that the hiring business needs to produce evidence establishing three things. First, the hiring business needs to establish that the contract creating the business relationship and the reality of the situation shows that the worker is free from their control or direction in the performance of the work they are hired for. Second, they need to show that the worker is doing work that isn’t part of their day to day business operations. Delivery driving companies can’t hire IC drivers, IT companies can’t hire IC IT workers, etc. Third, they need to establish that the hired worker has their own independent business doing what they are hired as an IC for and that business is independent of the hiring company. You can clearly see the thumbprint of the Borrello factors on the ABC test. However, in practice, it makes it leaps and bounds harder for an employer to get away with misclassification. Even more than that, it makes the IC classification almost limited to people who put themselves out there as contractors and want to be hired as an IC. This isn’t always going to be the case, but it brings California much closer to this situation. The ruling explicitly applies to claims stemming from California Wage Orders–a very common source of employment disputes–but the Court has left the door open to apply the ABC test to other statutes as well. This is a huge change. The kind of change which will necessitate every employer across the state to reconsider their classifications of their workers. Even in a standard economy, it would be quite the shakeup. However, in the gig economy it is even more impactful. The changes, when combined with California joint employer rules which establish that if more than one entity shares control of a worker’s wages, hours, or working conditions they can both be employers, will make it much more difficult for business to hire “independent contractors” from staffing agencies to perform the standard duties required of their business. This a fairly common practice that will have to be entirely reevaluated by employers. What’s more, the many online platforms such as Uber, GrubHub, Postmates, and more will face a challenge in classifying their drivers as independent contractors. This is a legal challenge that they have faced several times before in many states, frequently settling cases to avoid a final ruling on the issue. The business model of these companies is almost entirely based around the savings from all the people doing the actual work being independent contractors who have no benefits, overtime, etc. If this changes, it would shake their business models to their core. 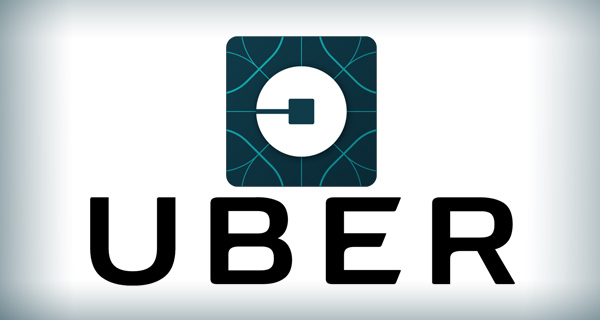 The longstanding assertion of Uber and similar businesses is that they are not in the business of providing transportation (or whatever other service such a company provides) but rather their business is providing the online portal for these transactions to take place. They assert that their employees are the core that keeps this online portal up and functioning. Such an assertion would have a fair chance under the ABC test, however it would certainly be more of an uphill battle than ever before if one of these online platforms had to affirmatively prove all three elements of the test for all their independent contractors. What is the Legislative Response? This recent decision has been hailed as a victory by many employee advocates. They celebrate how much harder it makes classification and the fact that it makes classification incredibly difficult for an employer to abuse. There already have been some legislative moves to allow some gig economy elements to continue to function as before. For instance, in Silicon Valley Assembly member Evan Low has introduce a new bill which essentially would create a new classification of employees to facilitate the business models of online platforms such as GrubHub. This new classification would be called “marketplace contractors” and would not be treated as employees or have the legal protections granted employees. Instead, the bill would set up a shared benefit plan that the online platform companies would contribute into to support their “marketplace contractors.” This bill is very new, so it could be subject to change. However, it certainly does not seem very labor friendly on its face–essentially creating an employment law loophole for a specific industry. Given the common politics where it has been introduced, it will certainly face an uphill battle in becoming law. Regardless of what happens with this bill, it serves to illustrate how substantial a shift in legal paradigm the ABC test represents and the impact it will have on employers that some felt it necessary to introduce such drastic legislation. As always, it is important to know your rights and obligations as both an employee and an employer–stay abreast of the ABC test and how it will continue to develop as the rubber hits the road in the lower courts and labor board.